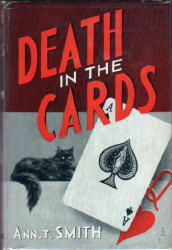 I love these Wildside editions -- I have several in my shelves spreading across genres. They're great facsimile editions which offer readers like myself the opportunity to rediscover old book without having to go into debt buying them. Sadly, the author remains a mystery to me, since I could find absolutely nothing outside of this book to her credit; I couldn't find any personal information either. I went through several sources I have at home, including Hubin's great reference work which would normally list a pseudonym as well as at least a birthdate, but got nothing. 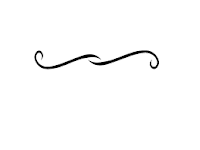 If I find more later, I'll make an addendum here, but for now, she remains a question mark. That's a shame -- I love unearthing people's histories; they're often very enlightening as well as interesting. Oh well. I tried. both of which as you can see, offer a clue in the cat on the cover. While I won't say why the cat (whose name is Beauty) is important, let's just say that the poor kitty has a role to play, ultimately coming to a pretty sad end. But the cat is the least of the worries at the old house on Brattle Street, where Paul and Lita Redfern have taken rooms so that Paul can be close to his new professorial job in Boston. 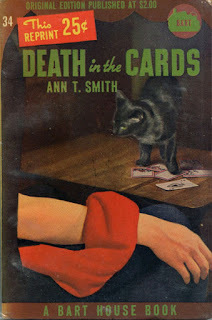 Death in the Cards is not the best book I've ever read from the 1940s, but it did keep me turning pages to find out who killed old Mrs. Carrie Seton, who owns the house and rents out rooms. The tenants, aside from Paul and Lita, include an anthropologist (Dr. Oglesbie) whose rooms are filled with skulls, a handyman named George from South Dakota, a Navy man (Phillips) who's just finished a tour of duty on a submarine, two elderly, former Beacon Hill women (Miss Lovelace and Miss Brundage) whose fortunes have faded since the social heyday, and Mrs. Seton's granddaughter Caroline. 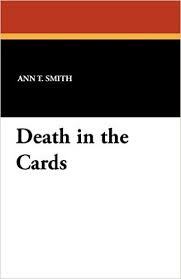 Within just a few weeks of moving into the place, old Mrs. Seton ends up dead and Paul, who comes across her body, finds evidence that his wife may have been the culprit. So many things point to her guilt that he hides what he discovers and takes it upon himself to find the real murderer before the police hone in on his wife. With so many people in the house though, that's not going to be easy -- and the police are eager to bring this case to a close. Way more interesting to me than the mystery (which quite frankly gets a bit convoluted and even brings in a Nazi spy as a sort of patsy -- remember, it's still wartime) is that the author takes her readers into the world of Boston's Beacon Hill society in its heyday (and later as fortunes decline) as she recalls Mrs. Seton's life. As it turns out, the dead woman was not of their ilk -- au contraire, she was a young woman nee O'Toole from Irish stock and from the wrong part of town. She had caught the attention of her future husband who fell for her and was bound and determined to introduce her to his Boston Brahmin world, which did not go over so well and required the help of her old Miss Lovelace, who remained her very best friend and stayed with her long after Mr.Seton had passed on. It's a good find, probably not of interest to most people unless you're into obscure vintage fiction, and aside from the meandering nature of the story, not a bad read. Just as an aside, I have pretty much finished my obscure women writers project for this year, but I have been stacking my shelves with many, many more titles and I'll be reading and posting about them as I come to them. I'll also be inaugurating my page "Forgotten Women Found" here shortly -- so stay tuned. Thanks to all who have commented. I am not sure whether or not this appeals to me, but I enjoyed your review.